March 17, 1927: “The Gumm Sisters” (Judy and her sisters) performed at the Al Malaikah Temple Shrine Luncheon at the Biltmore Hotel in Los Angeles, California. March 17, 1930: “The Gumm Family” (Judy, her sisters, mother, and father), performed for their guests at a St. Patrick’s Day Party held at their home in Lancaster, California. 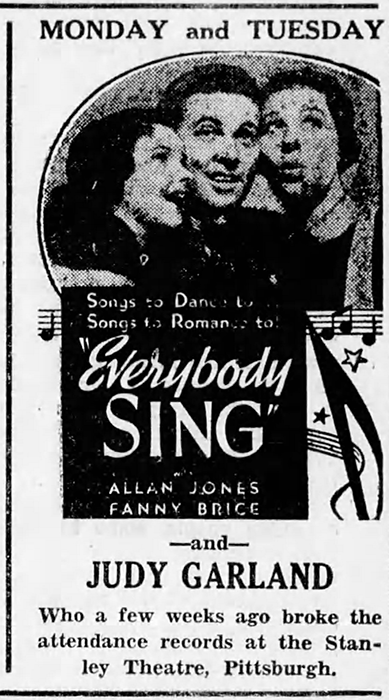 March 17, 1938: Judy’s Everybody Sing tour was in full swing. She was due in Detroit, Michigan, the following day. It was the next to last stop on the tour. 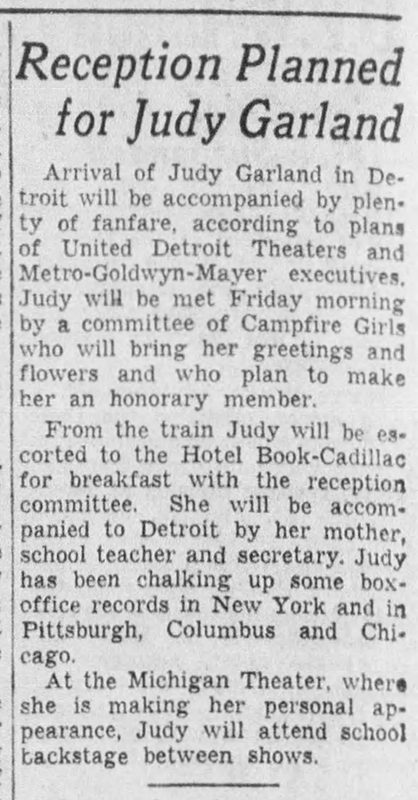 After Detroit, she returned to Chicago, Illinois, for a few days rest then visited her birthplace of Grand Rapids, Minnesota, then back to Chicago and the return train trip to Los Angeles, California. 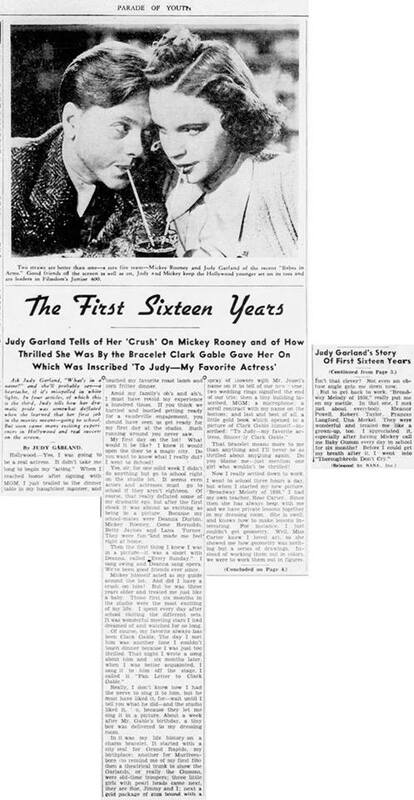 March 17, 1940: The third installment in the weekly four-part series “The First Sixteen Years” allegedly written by Judy. “Judy” talks about writing a song called “Fan Letter to Clark Gable” and singing it for him on his birthday. Obviously, that’s “(Dear Mr. Gable) You Made Me Love You” but for some reason whoever actually wrote this didn’t know that tiny little fact. “Judy” also gives details of every charm on the bracelet that Clark Gable allegedly gave to her after that song performance. That bracelet was full! 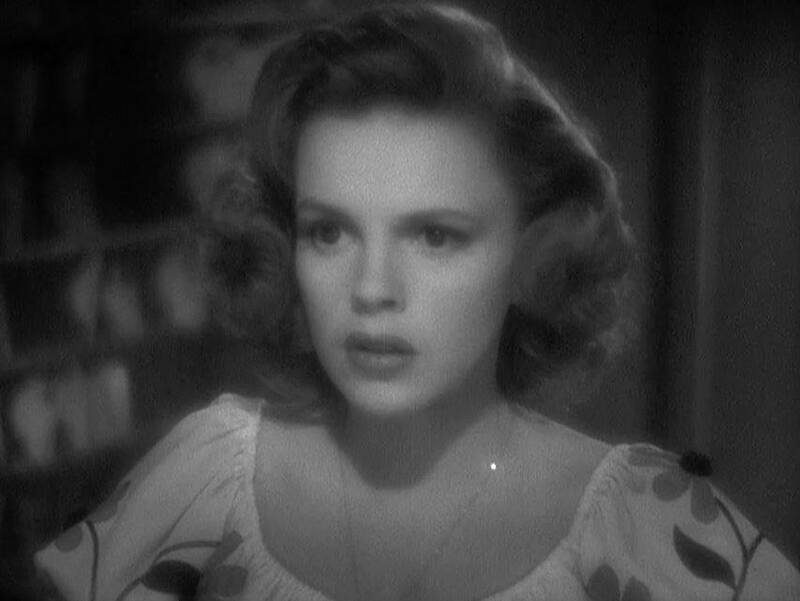 Ask Judy Garland, “What’s in a name?” And she’ll probably say – a heartache if it’s misspelled in white lights. In four articles, of which this is the third, Judy tells how her dramatic price was somewhat deflated when she learned that her first job in the movies meant – going to school. But soon came many exciting experiences in Hollywood and real success on the screen. Hollywood – yes, I was going to be a real actress. It didn’t take me long to begin my “acting.” When I reached home after signing with MGM, I just trialed to the dinner table in my haughtiest manner and touched my favorite roast lamb and corn fritter dinner. Amid my family’s oh’s and ah’s, I must have retold my experience a hundred times. If you think we hurried and bustled getting ready for a vaudeville engagement, you should have seen us get ready for my first day at that studio. Such running around you never saw. My first day on the lot! What would it be like? I knew it would open the door to a magic city. Do you want to know what I really did? I went to school! Yes, sir, for one solid week I didn’t do anything but go to school right on the studio lot. It seems even actors and actresses must go to school if they aren’t eighteen. Of course, that really deflated some of my dramatic ego, but after the first shock it was almost as exciting as being in the picture. Because my school-mates were Deanna Durbin, Mickey Rooney, Gene Reynolds, Betty Jaynes, and Lana Turner. They were fun and made me feel right at home. Then the first thing I knew I was in a picture – it was a short with Deanna, called “Every Sunday.” I sang swing and Deanna sang opera. We’ve been good friends ever since. Mickey himself acted as my guide around the lot. And did I have a crush on him! But he was three years older and treated me just like a baby. Those first six months in the studio were the most exciting of my life. I spent every day after school visiting the different sets. It was wonderful meeting stars I had dreamed of and watched for so long. Really, I don’t know how I had the nerve to sing it to him, but he must have liked it, for – wait until I tell you what he did – and the studio liked it, too, because they let me sing it in a picture. About a week after Mr. Gable’s birthday, a tiny box was delivered to my dressing room. The bracelet means more to me than anything and I’ll never be as thrilled about anything again. Do you blame me – just mention one girl who wouldn’t be thrilled! Now I really settled down to work. I went to school three hours a day, but then I started my new picture, “Broadway Melody of 1938.” I had my own teacher, Rose Carter. Since then she has always been with me and we have private lessons together in my dressing room. She is swell and knows how to make lessons interesting. For instance, I just couldn’t get geometry. Well, Miss Carter knew I loved art, so she showed me how geometry was nothing but a series of drawings. Instead of working them out in colors we were to work them out in figures. Isn’t that clever? Not even an obtuse angle gets me down now. 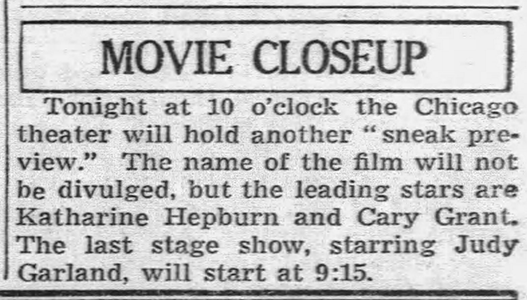 March 17, 1941: Naturally, Little Nellie Kelly was a popular choice at theaters around the country for this St. Patrick’s Day. 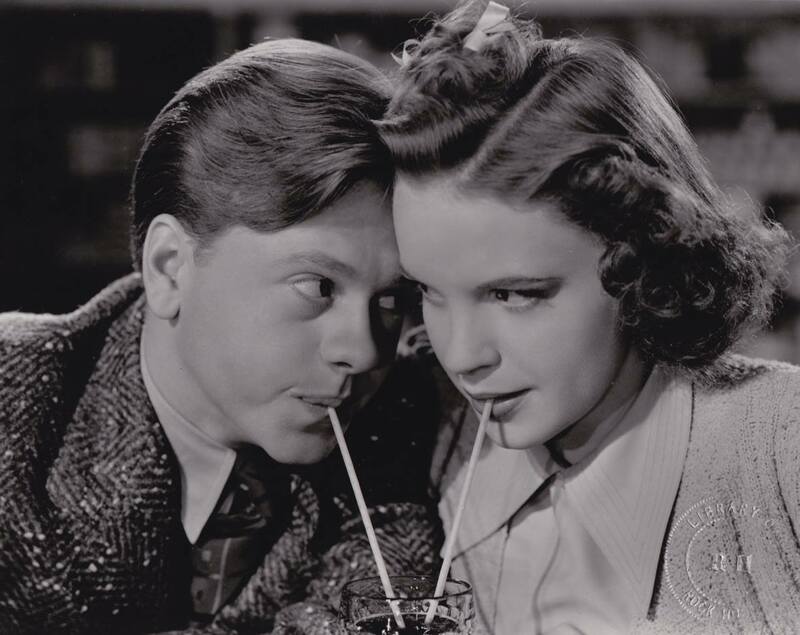 March 17, 1943: Judy resumed filming on Girl Crazy with scenes shot on the “Interior Post Office” set with Mickey Rooney. In February, she had taken a break from the film to rehearse, record, and film the new finale for Presenting Lily Mars completing that on March 16th. No rest in between! 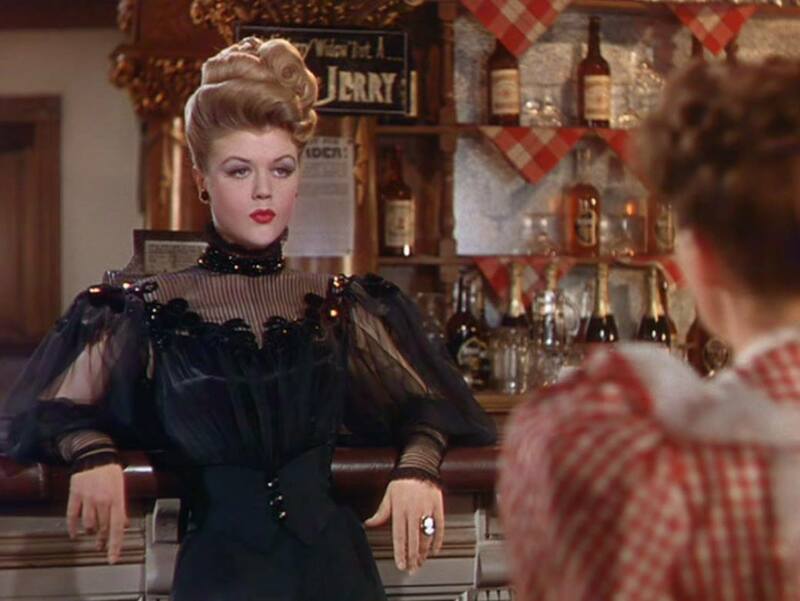 Time called: 10:33 a.m.; dismissed: 4:26 p.m.
March 17, 1945: Harrison Carroll’s column, “Behind the Scenes in Hollywood,” featured a story about Carroll visiting the Harvey Girls set expecting to see a fight between Judy and co-star Angela Lansbury. 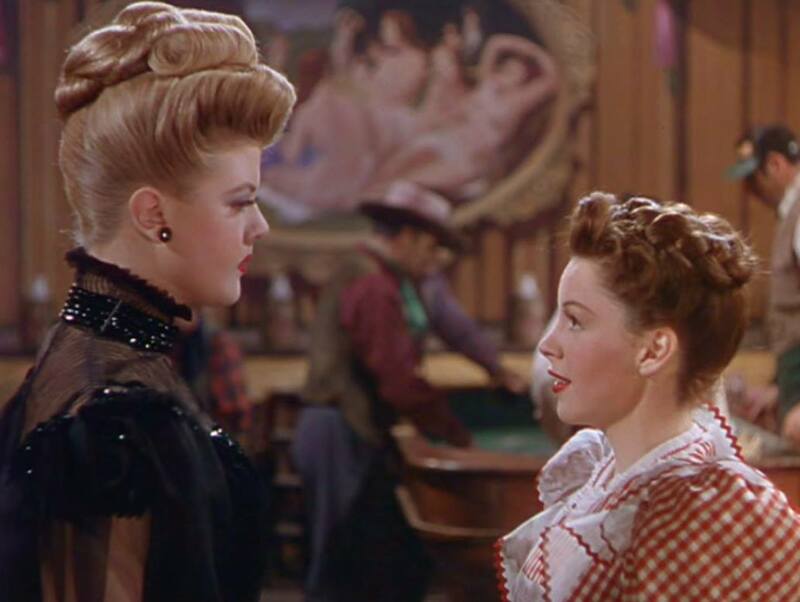 He relayed that he was visiting the set on one of the days that the big “girl fight” scene was filmed but the costumes he describes Judy and Angela wearing were worn in different scenes. Perhaps he was hoping to see the girl fight but came on a different day. 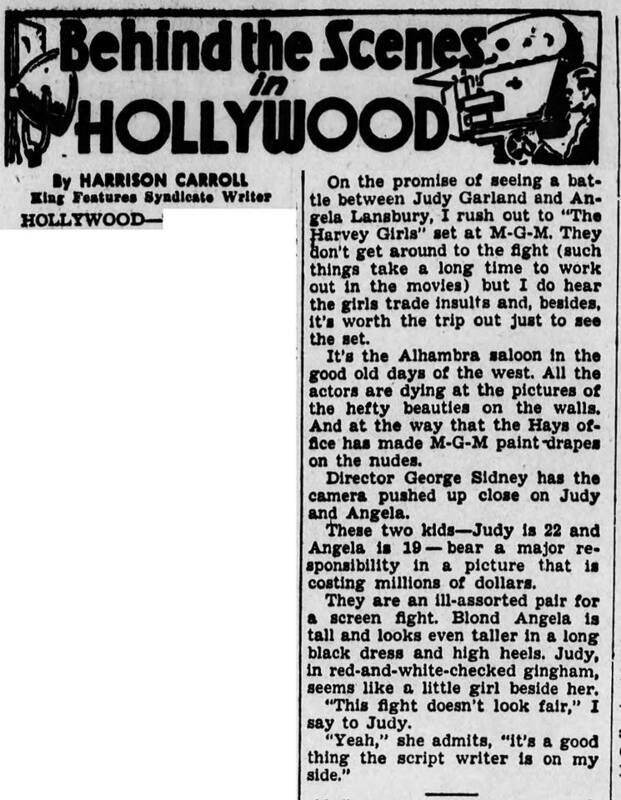 The day this column was published (March 17) Judy was still filming The Harvey Girls. Scenes shot on this day were on the “Interior Harvey House” set. 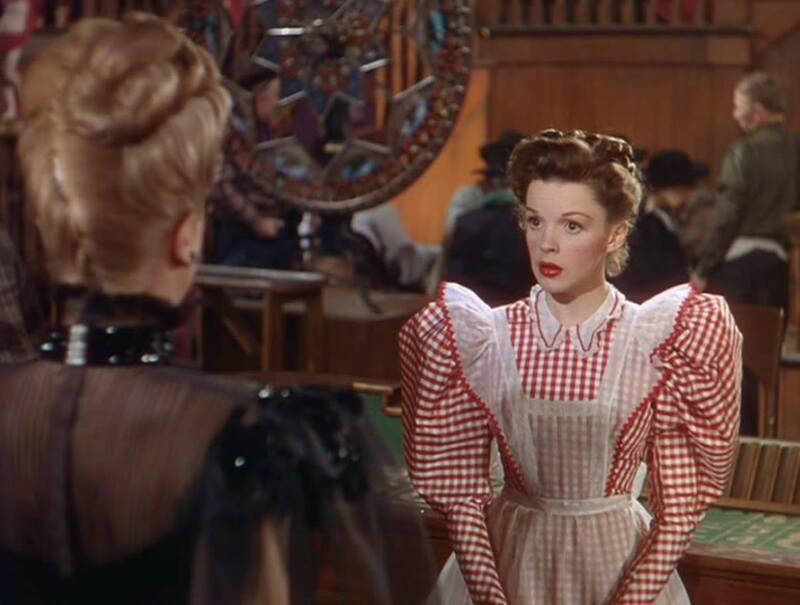 Time called: 10 a.m. Judy arrived at 11:10 a.m.; she was dismissed at 12:30 p.m.
On the promise of seeing a battle between Judy Garland and Angela Lansbury, I rush out to “The Harvey Girls” set at M-G-M. They don’t get around to the fight (such t things take a long time to work out in the movies) but I do hear the girls trade insults and, besides, it’s worth the trip out just to see the set. It’s the Alhambra saloon in the good old days of the west. All the actors are dying at the pictures of the hefty beauties on the walls. And at the way that the Hays office has made M-G-M paint drapes on the nudes. Director George Sidney has the camera pushed up close on Judy and Angela. These two kids – Judy is 22 and Angela is 19 – bear a major responsibility in a picture that is costing millions of dollars. They are an ill-assorted pair for a screen fight. Blond Angela is tall and looks even taller in a long black dress and high heels. Judy, in red-and-white-checked gingham, seems like a little girl beside her. “This fight doesn’t look fair,” I say to Judy. 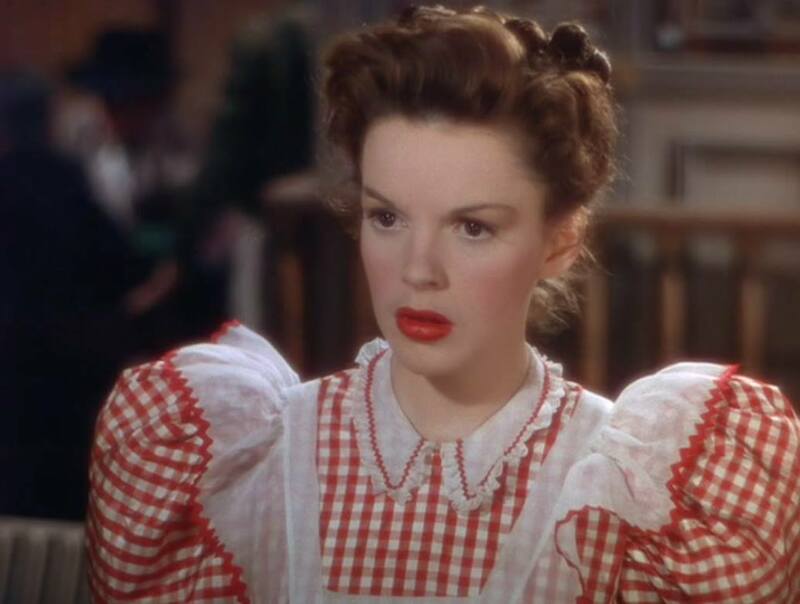 March 17, 1949: Judy was scheduled for wardrobe and makeup tests for Annie Get Your Gun but she was ill and unable to work. The tests were canceled. Judy was out sick until March 21st. Photos: Some costume test made on different days, exact dates unknown. 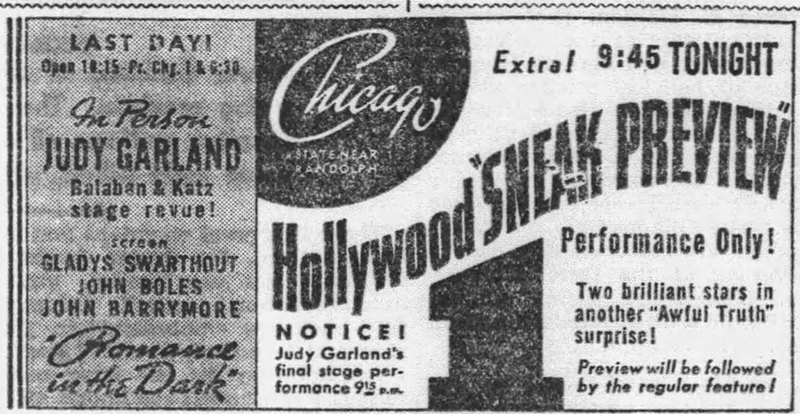 March 17, 1954: The last day of filming the “Lose That Long Face” number for A Star Is Born although there were some retakes on May 3rd through 6th. 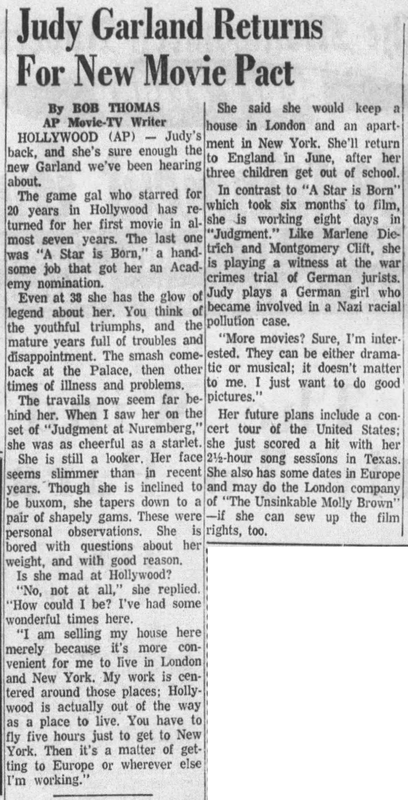 March 17, 1961: Columnist Bob Thomas gave an update on Judy’s recent activities, not notably her brilliant performance in Judgment at Nuremberg. He also noted that Judy planned to do more films and “may do the London company of ‘The Unsinkable Molly Brown’ – if she can sew up the film rights, too. Judy’s name had been attached to the possible film adaptation of that Broadway hit off and on for a couple of years although, in all honesty, Judy was beyond that type of role at this point in her career. March 17, 1964: Date approximate. 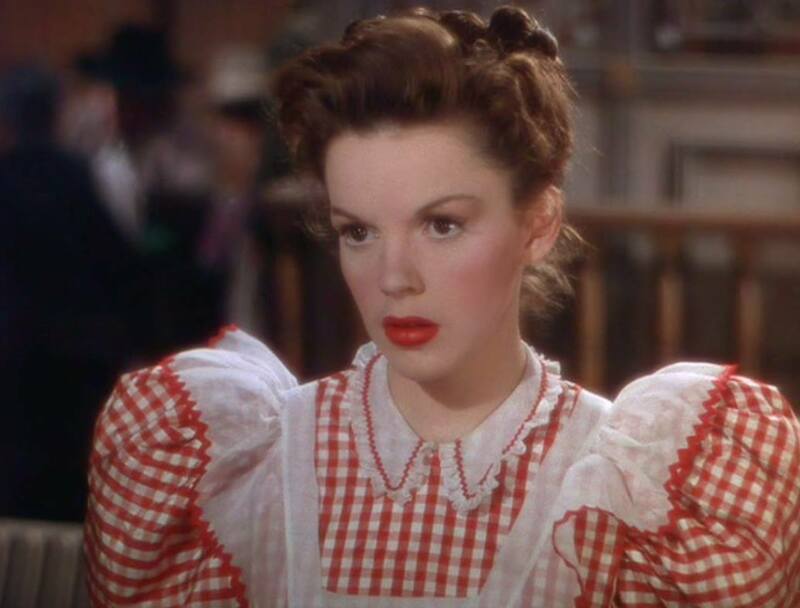 Judy and the producer of her TV series, “The Judy Garland Show,” viewed tapes of the last episode and realized another session would have to be scheduled to complete the hour. That happened on March 26, 1964. 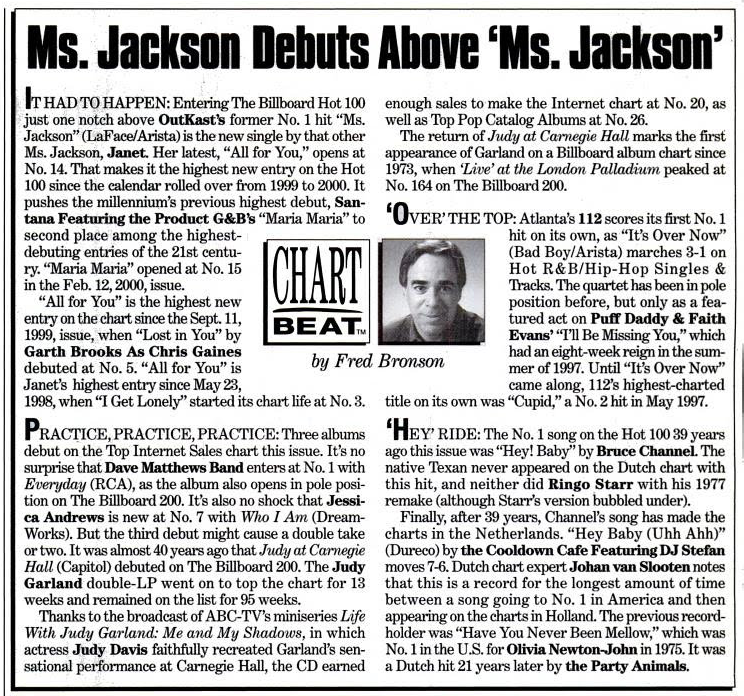 March 17, 2001: The recent issue of “Billboard Magazine” noted the return of “Judy at Carnegie Hall” to the charts. That’s quite the achievement for an album that was, at that point, 40 years old! 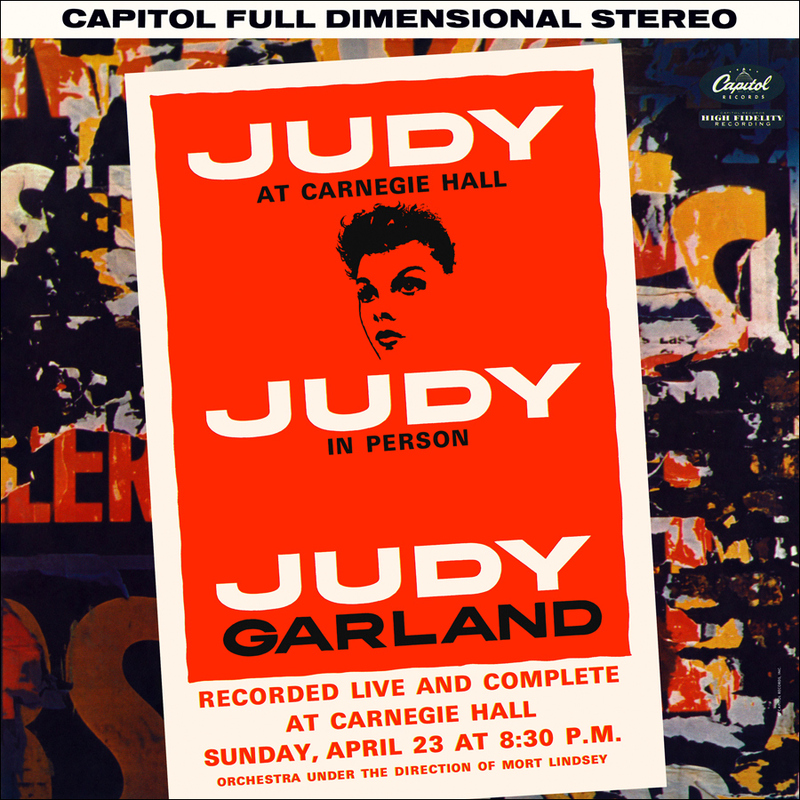 “Thanks to the broadcast of ABC-TV’s miniseries Life With Judy Garland: Me and My Shadows, in which actress Judy Davis faithfully recreated Garland’s sensational performance at Carnegie Hall, the CD earned enough sales to make the Internet chart at No. 20, as well as Top Pop Catalog Albums at No. 26.